At Greenspot Salads, providing San Diego with healthy and nutritious salads is our number one priority. We now live in a time filled with a wide variety of diets, dietary restrictions, food allergies and the like, and at Greenspot we are committed to having a salad bar that serves a broad cross section of tastes and preferences. 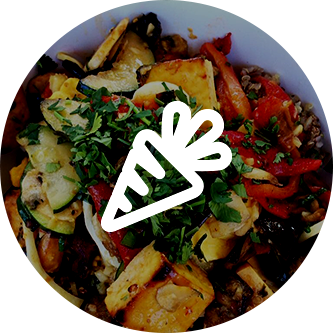 For this blog, we’ve decided to show some love to our vegan customers by focusing on some of our menu options that are entirely vegan. For those of you who may be unfamiliar with the lifestyle, a vegan diet is one that entirely abstains from all animal products. This includes all and any meats as well as dairy, eggs, bee products and things like gelatin. Let’s not waste any time and get into it! 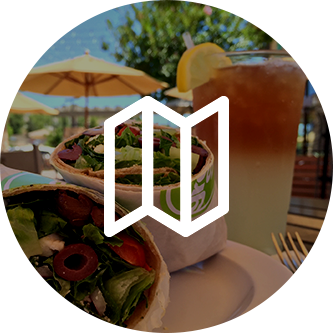 A customer favorite, our tasty Vegan Market wrap is as fresh and delicious as it gets. This wrap combines fresh avocado, spring mix, carrot, cucumber, bell pepper, and radish sprout into a delectable wrap that’s so tasty, you don’t even have to be vegan to enjoy this. Top it off with our house made Goddess dressing, and you’ve got a mouthwatering wrap that’s fresh, healthy and a perfect meal. This fresh and completely vegan salad starts off with a fresh and crisp spring mix as it’s base before we add a symphony of freshly grilled and roasted vegetables. Adding in roasted carrots, roasted eggplant, roasted red pepper and grilled zucchini, you’ve got a distinctly tasty combination of delicious veggies, all roasted and grilled in house. Topping it off with olive oil and vinegar gives it a simple dressing, allowing the veggies to truly express their flavors. Perfect as an entree, though you can also have this delicious combination of fresh veggies as a side accompaniment to a wrap or soup of your choice as well. This one is packed with an array of delicious superfoods and is filled with flavor. We start with delicious greens like spinach, chopped kale and broccoli, giving this salad a delicious and nutritious base. Adding in house roasted yams (or sweet potatoes, depending on your word of choice) gives this salad a slightly sweet element. Quinoa and avocado add flavor, texture and smoothness to the salad. Topping it off with a simple combination of olive oil and lemon juice, you’ve got a delicious salad that’s equal parts tangy, creamy, smooth and sweet. A fantastic entree but as always, you can order this as a side if you so desire. Sometimes simplicity is key, and our Power Plant Salad proves that sometimes all you need are just a few delicious ingredients to make a truly delicious salad. Spinach, carrots and radish sprouts make up the basis of the salad before adding in the unique ingredients of garbanzo beans and almonds. Garbanzo beans give the salad a great texture and subtle flavor while almonds add a nice crunch. Finishing it off with our house made Goddess dressing, and you’ve got a salad so delicious that you’ll quickly forget that it’s simply six ingredients. Who said vegan salads had to be boring and bland? Our Chopstick salad is a fantastic Asian-inspired salad that is completely vegan and filled with fantastic flavor. Taking fresh spring mix, carrots and radish sprouts, we add in bell peppers and celery to this basis of greens and veggies. Introducing edamame and sesame seed into the mix adds texture and crunch, providing a perfect compliment to the salad’s softer elements. Topping it off with a delicious sesame ginger dressing gives this salad a delicious kick of earthy but spicy Asian influenced flavor. Like all of our other salads, this can be ordered as either an entree or side salad. In addition to these, you can always build your own custom salad here at Greenspot Salads. Choose any greens, ingredients and proteins, which are priced a la carte. Basic ingredients are $.60 each while select ingredients are $1.20 each. 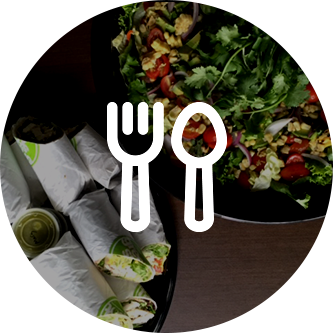 Your custom salad starts at $4.50 for the entree size (not including toppings), or just $2.50 for a side salad (plus toppings). 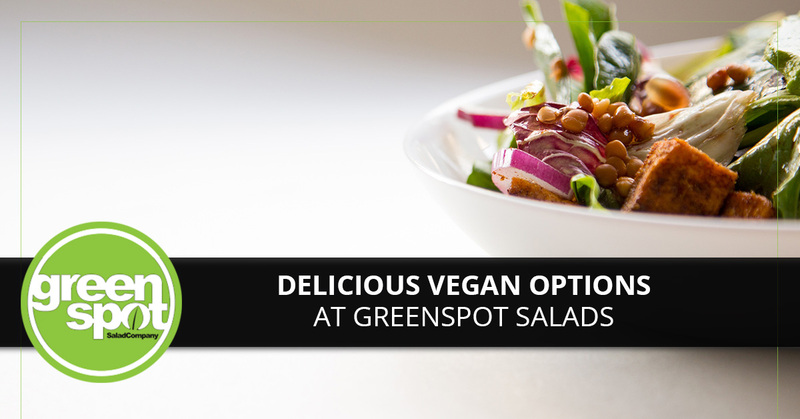 And remember-you don’t necessarily have to be vegan to enjoy any of these delicious salads from Greenspot, and you can easily add in a protein or cheese of your choice to make it all your own. Those are just a few of our fantastic vegan options that we serve here at Greenspot Salads. 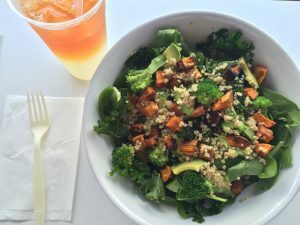 Whether you’ve been vegan for years or are new to the lifestyle, Greenspot Salads is proud to provide our customers with a wide variety of vegan friendly options that are fresh, unique and absolutely delicious. To browse our menu or to find out more information about our San Diego salad bar, visit one of our many locations today!